September 6th was a day for the record books. 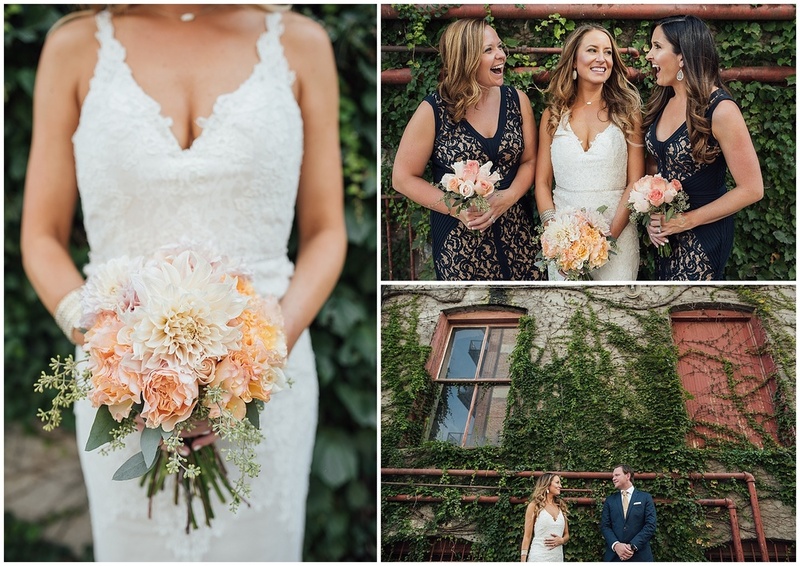 A day so perfectly planned, impatiently waited for and enthusiastically celebrated; Kary and Paul bound their souls together and created the happiest new family of five. 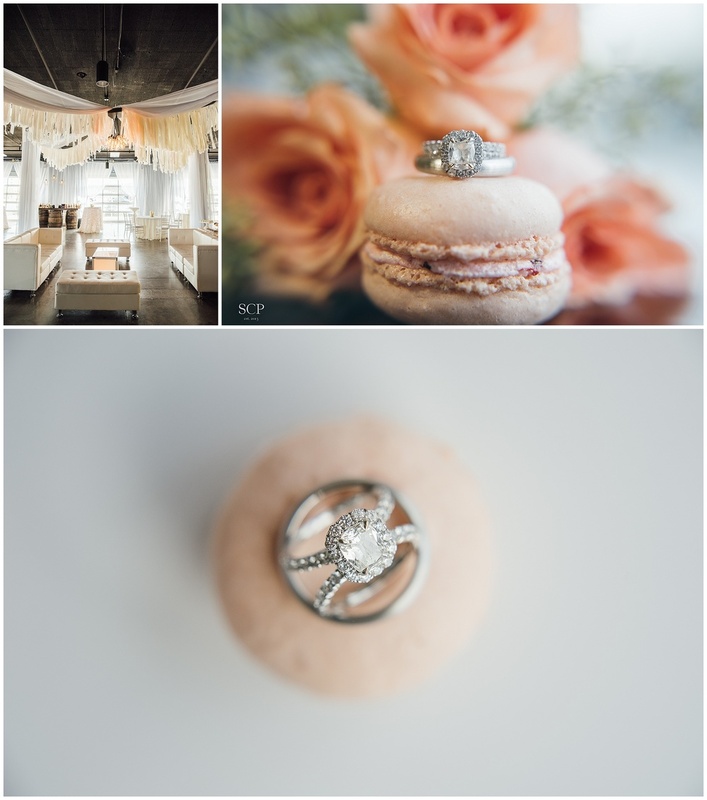 Their day was incredibly emotional, romantic and heartfelt. "Our wedding day cannot be described in just one word. It was filled with a variety of emotions scanning the spectrum from nerves and anticipation to overwhelming joy and gratitude. 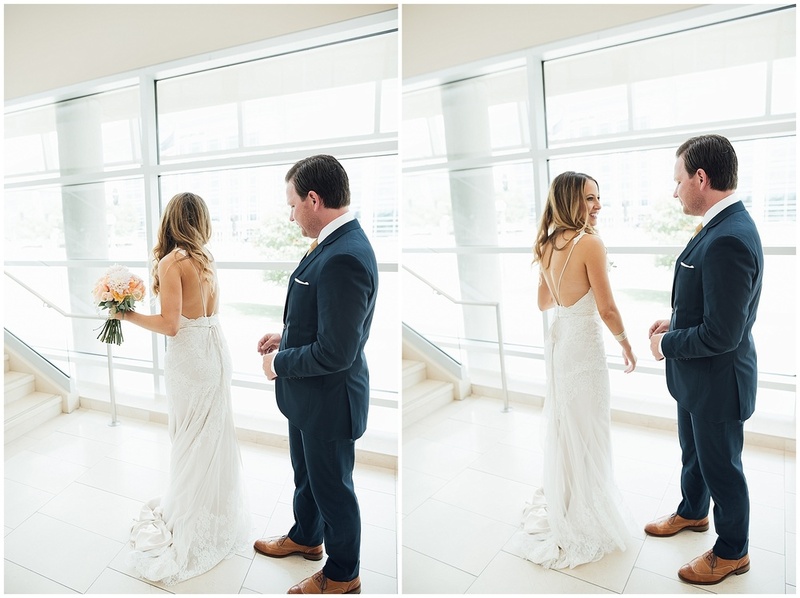 Most of all our wedding day was ultimately what Paul and I love most about each other - fun. We celebrated "us" with the people who mean the most to us in the entire world. Family and friends traveled from near and far to show their support for our relationship, our love and our new family. There are truly few things that will ever mean more to us. We were and continue to be grateful. It all went by so quickly. You always hear that and of course don't believe it until it actually does in fact fly by. Paul and I didn't want to let that day go; we [cheesy as it sounds] ended our night by re-reading the vows we had written down and shared with each other earlier that evening. 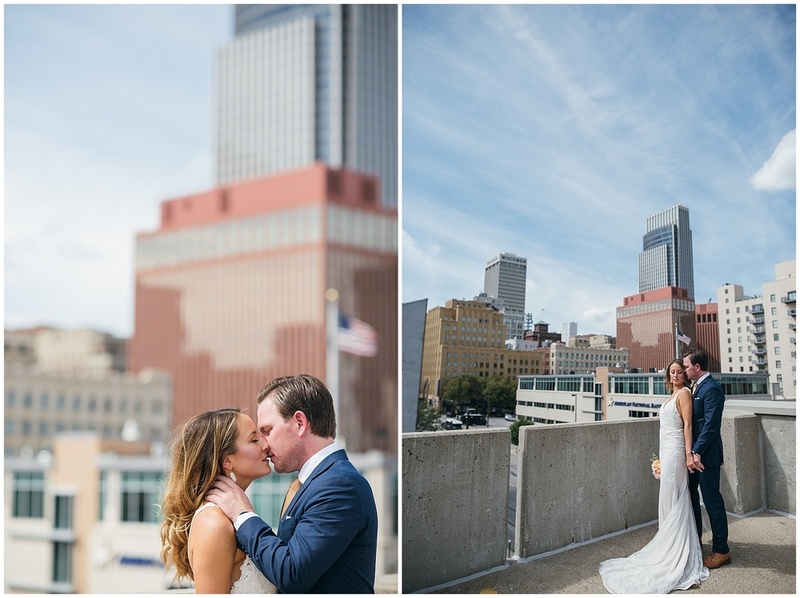 Kary and Paul both spent their morning getting ready in suites at the Hilton in Downtown Omaha. 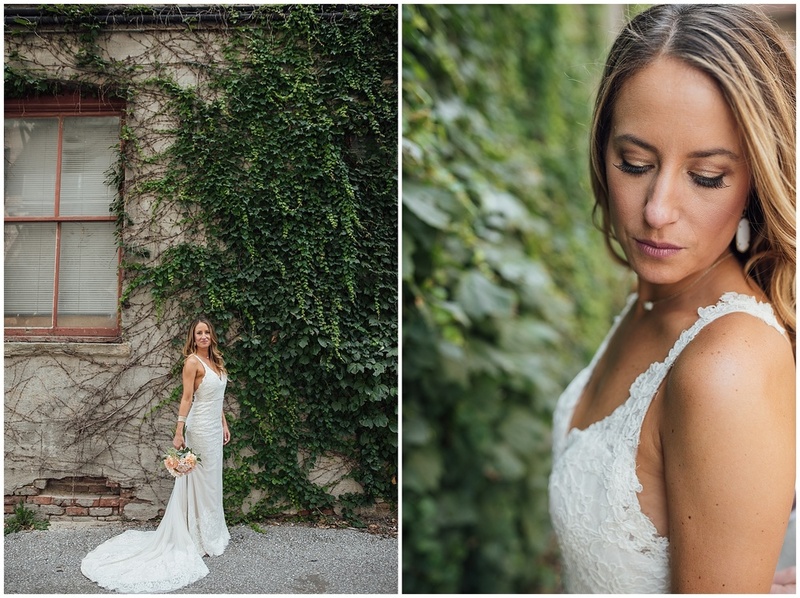 The staircase in the hotel provided the most spectacular light and setting for their first look! A late afternoon outdoor ceremony couldn't have been better. 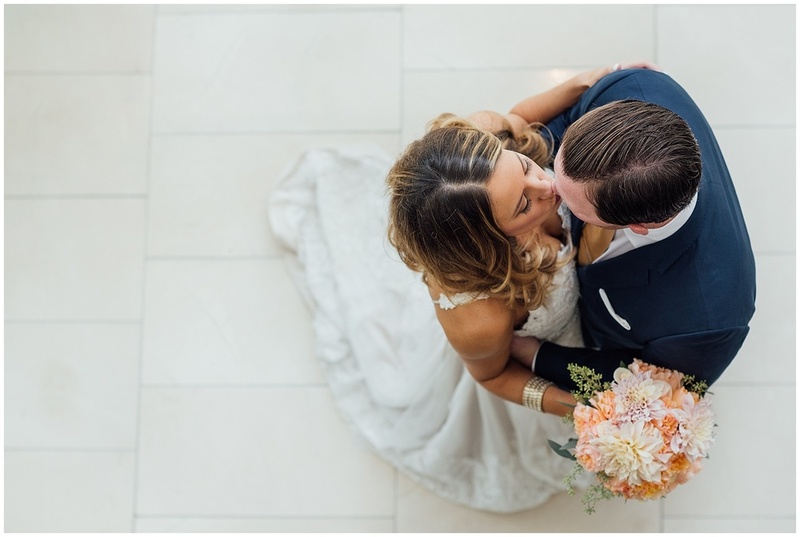 Blue skies, constant giggles and multiple accidental kisses made the celebration so perfect. 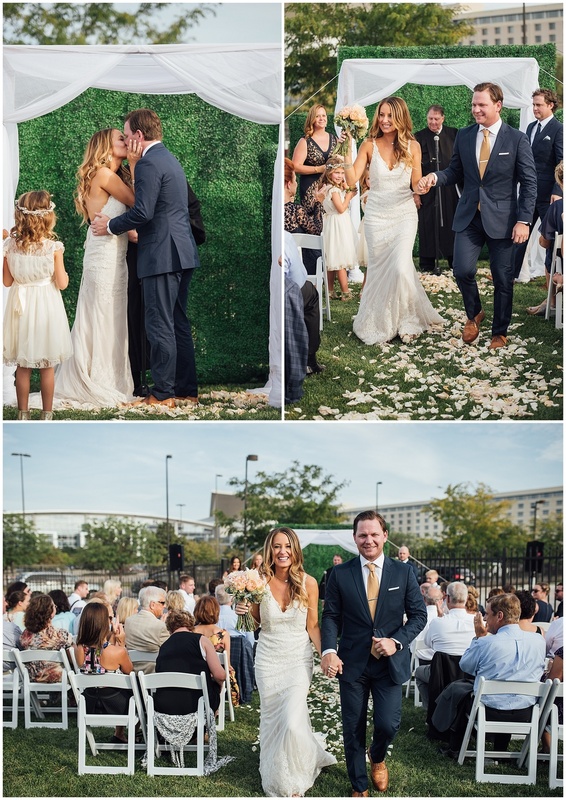 As the sunset in Omaha, The Mattress Factory's green space made for the most ideal spot to say I Do forever. 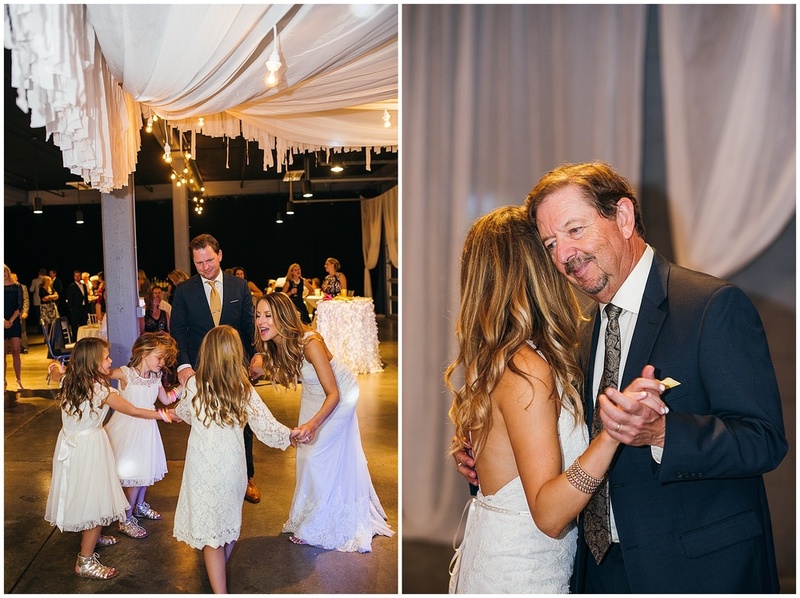 Moments after the ceremony, Paul's little girl jumped into her dad's arms crying with excitement and smiling ear to ear - the sweetest thing I've ever seen!